Homicide Squad detectives report the details of a Fatal Vehicular Accident involving a bicyclist that occurred on Wednesday, February 15, 2017 at 1:20 am in North New Hyde Park. North New Hyde Park, NY - February 15, 2017 - Homicide Squad detectives report the details of a Fatal Vehicular Accident involving a bicyclist that occurred on Wednesday, February 15, 2017 at 1:20 am in North New Hyde Park. According to detectives, while traveling southbound in the right hand lane of New Hyde Park Road near Marcus Avenue, the 50 year old male driver struck a bicyclist that crossed over into his lane of traffic. As a result of the collision the 74 year old male was thrown from his bicycle and upon police arrival was found to be unconscious and unresponsive. He was transported to an area hospital with multiple trauma injuries and was later pronounced deceased by a staff physician. The name of the deceased is being withheld at this time pending family notification. The vehicle, a 2017 Subaru, was brake/safety checked and released back to the owner at the scene. The accident, which has been determined to be non-criminal in nature, continues to be investigated. 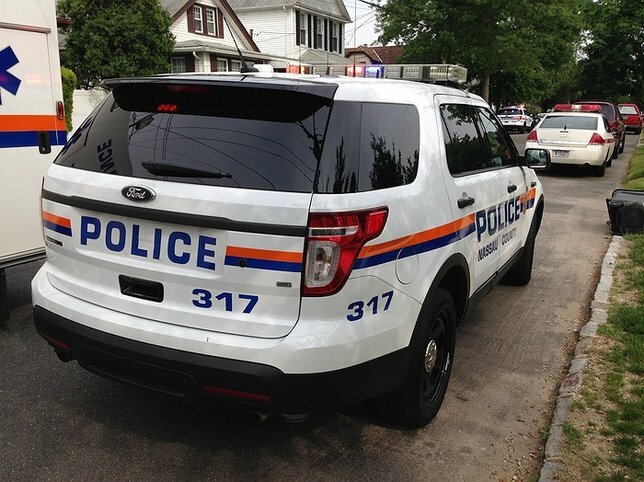 Subject: LongIsland.com - Your Name sent you Article details of "74-Year-Old Bicyclist Killed After Struck By Vehicle in North New Hyde Park"